Before my divorce, I had what I considered a rich life. I expect that I’ll continue to live well, but it takes time to re-establish what that means to me, and what to expect going forward. Jumping right into it might not be the best option, especially for single parents. First of all, your child might need an adjustment period. But that’s not the only consideration. You also need to know yourself and go through your own adjustment period. Sometimes it’s tempting for me to just rush in and see if I can have a little fun, but I need to consider whether I’m ready to start dating, just as much as I need to think of my son. Don’t base your decision on when others think you should be dating again, and certainly don’t base it on when your ex manages to find a significant other. Pay attention to you and your children, and figure out what works best for you both. 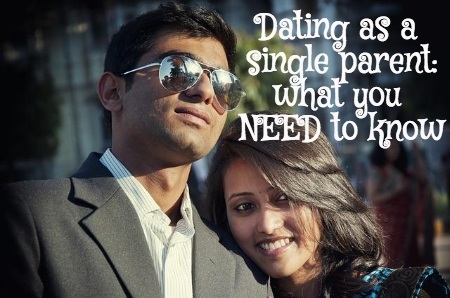 As single parents, it can be tempting to start dating just to have that adult interaction with someone. However, you need to know why you’re dating. When I spoke with a therapist about this issue, I realize that I’m not sure that I want another marriage relationship. This might change later, but right now I think I would be dating for exploration purposes, and maybe to find a companion or partner. But marriage again? It seems inconceivable. Figure out why you’re dating, whether you’re trying to build a family, meet new people or just try to figure out what you want to do going forward. Nail down the reasons for dating, because if you want to find someone to help you finish raising your children, the people you date need to be ready and willing for that responsibility. Because my son is 13, I can talk about these things with him, in an appropriate manner. I’ve broached the subject with him, and he feels mainly ok about me dating for fun, althought he’s less sure about the idea of inviting a third person into our lives right now. Be willing to communicate with your children in an appropriate maner — and validate their feelings. Be understanding that this is a hard adjustment for them, and they might be scared. While you can’t give children the idea that they have an equal say in what happens going forward, you can let them know that you take them into consideration, and you are working to make the transition as smooth as possible. Also, be clear about someone you’re getting serious about, and give your kids a chance to slowly get to know him or her on their own terms. But you also need to be aware that, for younger kids, it can be easier to bond with someone than it is for older kids. Take this into account since you don’t want to traumatize your younger children if things don’t work out long-term and they’ve already bonded. This sometimes means introducing someone to your older children first. And it might even mean waiting until you’ve dated for at least six months before making a serious introduction. But you still want to keep the lines of communication open, even if you aren’t letting your dates hang out with your children. Realize your kids might have changing reactions to the situation. You need to be understanding. Your kids might like the date for a little while, but then get worried later and not want to hurt your ex by liking your new flame too much. It’s tricky for kids, too, and they don’t have the same level of maturity that you have. This means you need to be understanding of your child’s situation, and don’t try to force reactions and behavior. While you want to encourage politeness no matter what, don’t force your kids to always be doing something with the new date, especially if your children are older. Your kids need to process, and develop the relationship on their own. During times of upheaval, your child needs to feel in control of something. While your child can’t control your relationships with other people, you can give your child the space to control his or her own relationships. While you do need to teach your children that you need to get out there and do things for yourself, at the same time you need to strike a balance. You need to give your children love and attention. If you begin dating, don’t get consumed by it. Whether you are dating a few different people and experimenting, or whether you are falling in love with one person, you need to maintain that balance. You also need to be careful about when you come home, who stays over and that whole situation. Your children still need stability, and as the adult you need to provide it. This can be a big challenge for single parents. I’m already balancing the community things I want to do — and I’m not even dating yet. This is one of the most frustrating things single parents face: the lack of a partner to help take over. Look for creative solutions that allow you to balance dating with time for your children. Of course, these are my own thoughts on dating — and I haven’t even got to that point yet. Do any other more experienced single parents (or formerly single parents) have some suggestions for me on what I’ve missed, or even got wrong? How do you navigate dating when you have children? My kids have only met two of the guys I’ve dated in the last 5 years. My last boyfriend who I fell deeply in love with, I had such a beautiful experience with my oldest. She was a shoulder for me to cry on when we broke up. It was the sweetest thing I’ve ever experienced. She’s protective of me and that experience alone was worth the heartache because I’ll always love her even deeper for it. I agree with waiting to date though sometimes getting out on a date even when you don’t feel like it is also healthy. I did find that out. You are already in a much healthier mental state over me when I was divorced. I made mistakes but I’ve also learned from them. The best advice I was given was not to date someone seriously who hasn’t been divorced for at least 3 years. Looking at everyone I’ve been out on dates with and have gotten to know and from my own mental health, I find that has been amazing advice. There’s so much growing and healing in those three years. I love that you put that to them. Meeting your kids is an honor. I also love that experience with your daughter. So beautiful and sweet, and a great way to bond. My son says he wants me to have fun, but he doesn’t want me to be hurt. Thank you for your kind words, good advice and encouragement. you’ll experience marriage PTSD and the emotional roller coaster that it entails. Just remember to breathe and have fun. Most importantly, keep your kid first. This is great advice. Thanks so much Ginger! I’m glad I am taking things relatively slow, just for the advantage of getting my bearings. And I’m excited to hear about your own recent victory! Great for you to be able to move forward.